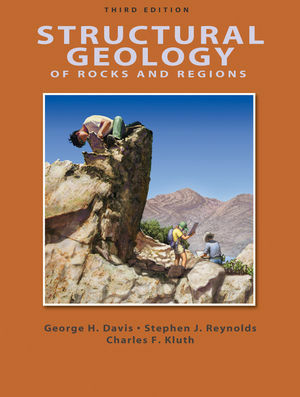 George H. Davis is the Provost and Regents Professor of the Geosciences, University of Arizona. ?He received his Ph.D. in Economic Geology from The University of Michigan, Ann Arbor, and his MA in Structural Geology from The University of Texas, Austin. Stephen J. Reynolds is Associate Professor of Geology, Arizona State University. He received his masters and Ph.D. in Geosciences from the University of Arizona. Dr. Reynolds has received the ASU Department of Geology Outstanding Teacher Award three times and has been nominated for the College of Liberal Arts and Sciences Distinguished Teaching Award, 1993. * Emphasis on how structural geologists think about deformed rocks. * Completely updated with increased emphasis and focus on: Displacement and Strain; Stess and Strength; and Fault Systems. * Provides an all new Active Tectonics chapter which describes and demonstrate the ways in which major structures and systems of structures are in fact forming today in active tectonic settings. * Presents active tectonic settings as natural laboratories. The Aegean region and Western United states are presented as labs for extensional tectonics; California, New Zealand, and Turkey provide good examples of strike slip; and active thrusting is discussed in the context of the Himalayas, and California.